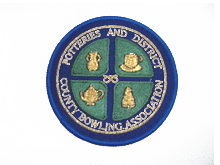 The Association shall be known as the Potteries and District County Bowling Association and be affiliated to the British Grown Green Bowling Association. (By virtue of acceptance of membership in December 1964. Membership of the Association shall be open to male players of any bonafide club in the Potteries and District County area. A club applying for membership shall be duly proposed and seconded and if admitted shall be required to pay an entrance fee of Two Pounds Fifty Pence. Such fee must accompany the application for Membership but it shall be returnable in the event of the application being rejected. Each club being in Full or Associate Membership of the Association shall be required to pay an annual subscription. (The amount to be determined by the Management Committee). Such subscription to be paid not later than 31st August in each year. Any club whose subscription remains unpaid on this date shall be dealt with as the Management Committee shall decide, and it shall be the duty of the Hon. Secretary of the Association to report such clubs to the first meeting of the Management Committee after 31st August. Any club wishing to terminate it’s Membership of the Association shall give notice in writing to the Hon. Secretary, such notice shall terminate at the date of the Annual General Meeting to be held in February each year. Failure to comply with this Rule will result in the club being liable for a further years subscription to the Association. Leagues embracing clubs affiliated to this Association must themselves affiliate in their own name on payment of an annual Affiliation Fee. (The amount to be determined by the Management Committee). The Management Committee shall consist of a President, Past Presidents and Life Members, Senior Vice President, Junior Vice President, Hon. Secretary, Hon. Treasurer (if one appointed), and eighteen other Members being three nominees from the Stoke-on-Trent leagues) one nominee from all other leagues affiliated to this Association, whose clubs must be in full membership with the Association, plus two nominees from the Referees Society and one nominee from the local Press. Such nominations to be received and accepted at the Annual General Meeting of the Association. It shall be permissible for the office of Hon. Secretary and Hon. Treasurer to be combined. Five members shall form a quorum. The Management Committee shall have full executive powers to conduct and transact the affairs of the Association. The Annual General Meeting of the Association shall be held in the second week of February for the purpose of receiving the financial statement and auditors report, accepting nominations for the Officers of the Association, confirming the eighteen nominees for the Management Committee and two Auditors, presentation of awards, considering any amendment or addition or rescission of any rule of the Association of which notice in writing shall have been given. Seven days notice of the meeting shall be given by the Hon. Secretary. Notice of any alteration, addition or rescission in the rules of the Association together with the names of the proposer and seconder must be forwarded in writing to the Hon. Secretary twenty-eight days before the date of the Annual General Meeting. Details of all such notices shall be given in the notice convening the Annual General Meeting. No rules of the Association shall be altered, added to or rescinded unless approved by two-thirds of those present and voting at the Annual General Meeting. 8. Those entitled to vote are Members of the Management Committee, Life Members, Vice Presidents and two delegates from each Club.The President, Senior Vice President and Junior Vice President shall each hold office for a period of two years. On the retirement of the President, the Senior Vice President shall be promoted to the office of President and the Junior Vice President to that of Senior Vice President. The Hon. Secretary shall be appointed for a period of three years, but such appointment may be terminated before the expiration of such period by resolution of an Extraordinary General Meeting. After having served for a period of three years the Hon. Secretary shall be eligible for re-election. The Hon. Treasurer, if appointed, shall serve for a period of twelve months, but shall be eligible for re-election. 9. The financial year of the Association shall begin on January 1st and end on December 31st of each year. The funds of the Association shall be deposited in such Bank as the Management Committee shall decide. The President, Senior Vice President, Hon. Secretary and Treasurer if one appointed), and any two of these, shall be empowered to endorse all documents requiring endorsement. The accounts shall be audited annually by two Auditors and a copy of the financial statement shall be sent to each club together with the notice convening the Annual General Meeting. The Management Committee shall have power to call an Extraordinary General Meeting at any time. It shall also instruct the Hon. Secretary to call such a meeting within fourteen days of the receipt by him of a request for such a meeting signed by the Secretaries of not fewer than ten affiliated clubs, always providing that the subject matter of such request shall deal with matters of special urgency connected with the business and administration of the affairs of the Association. Any request under this rule shall state in clear and definite terms the business or purpose for which the meeting is required. Each Club and League affiliated to the Association shall be supplied with a copy of these Rules and shall be bound thereby. In the event of any infringement thereof by any Club, or player of any Club, such Club or player shall be dealt with by the Management Committee, which shall have the power to fine, suspend or expel. Any club or player so dealt with shall have the right to appeal within fourteen days. The final right of appeal can be made to the British Crown Green Bowling Association. Any infringement by a League may be dealt with by an Extraordinary General Meeting convened under Rule No. 10. EVERY affiliated club shall be required to supply to the Hon. Secretary of the Association a duplicate list of its registered players and such list shall be displayed in the Club-House or be available on request. No player shall take part in any League or Competition under the rules of the British Crown Green Bowling Association until he has been so registered for a period of at least seven clear days. All registered players shall pay an annual registration fee. (The amount to be determined by the Management Committee). All Leagues, Competitions and Clubs shall be prompt in their correspondence and courteous in their transactions with the Association and its officials, otherwise they shall be deemed guilty of misconduct and dealt with as provided in Rule No. 11. All Clubs shall be held responsible for the good conduct of their officials, players and spectators. Reports of any misconduct whether by club, officials, players or spectators shall be dealt with in accordance with Rule No. 11. No member of any club affiliated and in full membership with the Association shall be permitted to transfer his membership to another club until such time as he has discharged all obligations to the club from which he is retiring. Teams to represent the Association in County Match fixtures of the British Crown Green Bowling Association shall be selected by the Management Committee from the lists of players registered by every Club in Full Membership. A playing Captain shall be selected for each County team together with a Team Manager elected from the Management Committee. Clubs in Full Membership of the Association may submit nominations of players for consideration for selection for the County Team by the Management Committee. Any Club or League affiliated to the Association promoting a contest for bowls players other than their own members must do so in compliance with Bye-Law 11b of the British Crown Green bowling Association. The President, Senior Vice President, Junior Vice President, Hon. Secretary and, Treasurer shall be members of all sub-committees which the Management Committee may appoint. All decisions reached by any sub-committee shall not have effect until ratified by the Management Committee unless executive powers have been granted to them by the Management Committee. The Rules of this Association and the Bye-Laws of the British Crown Green Bowling Association shall be read and construed together and if there should be any inconsistency or discrepancy between them then the Bye-Laws of the British Crown Green Bowling Association shall prevail. The Management Committee shall have power at any time to nominate a Life Member, such nominations to be confirmed at the Adjourned Annual general Meeting of the Association. In the event of the Association being dissolved the balance of any funds in hand shall be divided pro rata between the affiliated clubs then in membership. In the event of there being a deficiency of funds to meet liabilities the affiliated clubs then in membership shall each be held responsible for a pro rata portion of such liabilities. Only clubs fully affiliated to the Association shall be eligible to compete, and all players must be registered in accordance with Rule 12.
players must be bona fide league bowlers of their club, to be eligible to play in either the Senior, Sentinel or Gerald Harrison Memorial ( Junior Cup ) Competitions. Management Committee. Such entrance fees must be paid before the date fixed for the playing of the preliminary or first round of each competition, failing which the Management Committee shall have power to disqualify the club or clubs concerned from competing. Where a club competes in both the Senior and Junior Cup Competitions the club shall ‘star’ eight players to be approved by the Management Committee, and such ‘starred’ players shall be ineligible to compete in the Junior Cup Competition. Subject to this proviso, a player may play for his club in either competition, but a player having taken part in a Senior Cup match for his club shall not be eligible to play in the Junior Cup in the same season. No player shall be permitted to play for more than one club in either competition. Teams entered in the Senior Challenge Cup Each team shall consist of Ten male players, Teams entered in the Junior Challenge Cup, each team to consist of eight male players (or such other number as the Management Committee a may from time to time decide) The players shall be numbered in order of play by each captain and this shall constitute the draw. 6.All games shall be 21 up. The respective captains shall toss for the first jack, then each team shall play the jack alternately and the club with the highest number of points shall be declared the winners. In the event of a tie, the match shall be replayed on the same green within eight days. All games shall take place on neutral greens to be selected by the Management Committee. No player shall be permitted to play on the selected green for a period of eight days prior to the date fixed for playing the match, except when playing in an organised match or competition recognised by the Management Committee, nor shall any practice be permitted. Standard jacks shall be used in all cup matches. The club winning either the Senior or the Junior Cup shall be entitled to hold the trophy for twelve months. They shall be required to give satisfactory security to the Association for the safe custody of the trophies during the period they are in their possession and shall return them in good condition to the Hon. Secretary fourteen days before the date fixed for final rounds, or in special cases on demand. The trophies shall not under any circumstances become the property of any club. The Association shall award prizes to the members of the winning team and runner-up in each competition to such value as shall be decided by the Management Committee. In the first two rounds of the competitions the opposing captains shall officiate as referee and measurer as in league games. In subsequent rounds the club on whose green the match is played shall appoint a competent referee and the two captains shall be authorised to act as measurers. In the semi-finals and finals the referee and measurers shall be appointed by the Management Committee. In all matches the referee’s decision concerning the fitness of the green, number of ends to be maintained during play, and other matters concerning play, shall be final. In all matches the winning captain should forward the official score sheet to the Hon. Secretary of the Association within two days of the playing of the match, such score sheets to be signed by the referee and the captains of the respective teams. If a player is absent one hour after the official start time, a reserve player may be called upon, but if no reserve player is available the club shall forfeit 21 points to their opponents. The Management Committee shall select two teams to represent the Association in the annual World Team Championships. One being the winners of The Senior Challenge Cup, Plus one other as determined by The Management Committee. The Association shall hold annually a competition for the individual championship of the Association, to be called the Individual Merit Competition. The name of any sponsor may be incorporated in the title. The competition shall be open to all registered bonafide members of clubs in full membership with the Association. The Junior Merit shall be confined to competitors who shall not have reached the age of 18 years on the 1st January of the year of the competition. Each player shall pay an entrance fee. (The amount to be determined by the Management Committee). The competition shall be played on such dates and such greens as the Management Committee shall decide, and the Management Committee shall also appoint all officials for the final rounds of the competition. The Final Day and start time being decided by the Management Committee. Entry forms will be forwarded by the Hon. Secretary of the Association to each Club Secretary, who should note (a) that all entries shall be accepted by name only and that any entries by number will not be accepted, (b) if any competitor is a member of more than one Club it shall be stated on the Entry Form by the Club submitting the entry.On completion the forms must be returned to the Association Secretary together with the entrance fees not later than a date fixed by the Management Committee. Competitors in all games of the competition shall toss for the jack. Any player receiving a bye or a walk over in the first round of any stage of the competition shall be permitted to practise on the green, for a period not exceeding ten minutes before playing his game in the second round. The Association shall award prizes to the winner, runner up, semi finalists and quarter finalists, to such value as shall be decided by the Management Committee. Failure to appear after qualifying for a County Final Day in any County Competitions without a legitimate reason will result in a period of a Two year Ban in all County Competitions. 9.Failure to appear after qualifying for a B.C.G.B.A. National Competition Finals Day without a legitimate reason will result in a period of a Three ban in all county competitions. The Association shall hold annually a competition for the Doubles Championship of the Association. The name of any sponsor may be incorporated in the title. .
2.The competition shall be open to all bonafide members of clubs in full membership and associate membership with the Association. Each pair must be members of the same club. Competitors in all games of the competition shall toss for the jack. Players shall not be permitted to change partners after the first round, except under very special circumstances and only at the discretion of the Management Committee. The competition shall be played on such greens and dates as the Management Committee shall decide, and the Management Committee shall also appoint all officials for the final rounds of the competition. 7.Failure to appear after qualifying for a B.C.G.B.A. National Competition Finals Day without a legitimate reason will result in a period of a Three Year Ban in all County Competitions. 1.The Association shall hold annually a competition for the Over 60’s Championship of the Association, to be called the Bert Lewis Competition. The name of any sponsor may be incorporated in the title. Competitors in all games of the competition shall toss for the jack.